The right place to buy all your vibrating equipment. Vibrating magnets, compressed air-vibrators and knockers are very frequently used in the industry, for various applications. Electro magnetic vibrating feeders are extremely fitted to be used as dosingdrive, because they are very fast and easily turned on and off. Bunkers are indispensable in many situations in order to knock all the products out of the silo. 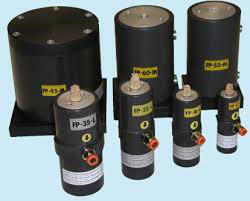 Also the lineair vibrating magnets are a useful and reliable component for the industry. It can be used as a drive for the larger conveyors and screens, but also to assist on a funnel or bunker, in order to have materials flow easily out. Invicon delivers Suisse pneumatic vibrators and knockers of a very high standard, but also chutemagnets, funnelmagnets, linear magnets for several uses and a wide range of thyristor controllers.